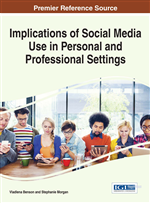 This chapter analyses privacy concerns of students and faculty resulting from the adoption of social media as teaching resources in higher education. In addition, the chapter focuses on privacy concerns that social media can cause to faculty when they are used for social networking. A trans-cultural study was carried out which involved three Spanish universities, a Colombian university, and an American university. A focus group was organized with PhD students to brainstorm the topic. Afterwards, 94 undergraduate students completed a survey and 18 lecturers participated in a written interview. Results indicate that social media are widely adopted in the university and are perceived as valuable resources for teaching. However, privacy concerns can easily emerge among students and faculty when these applications are used for this purpose. Concerns may appear when social media are used for social networking as well. The text also offers some guidelines to overcome them. Privacy is the claim of individuals to determine what information about themselves should be known to others, when such information is obtained and what uses are made of it (Westin, 1967, 2003). Privacy has also been defined as the selective control of access to the self (Altman, 1975). Privacy is perceived as a basic human need and, its loss, as an extremely threatening experience (Trepte, 2011). Westin (1966) postulates four functions of privacy: personal autonomy, emotional release, self-evaluation, and limited and protected communication. The arrival of new technologies has generated an important privacy debate at the academic, political, and social level. Westin (2003) notes the rise of the Internet in the mid-1990’s and the arrival of wireless communication devices (cell phones) as two major developments in technology that have generated privacy alarms and framed the privacy debates since their appearance in the nineties. The Communication Privacy Management (CPM) theory (Petronio, 2002) is the most valuable privacy theory for understanding interpersonal computer-mediated communication (Margulis, 2011). According to Petronio and Caughlin (2006), privacy can be most effectively understood in terms of “a dialectical tension with disclosure” (p.37). The CPM theory envisages privacy boundaries to illustrate individual versus collective information ownership (Child & Petronio, 2011) and proposes a series of principles to understand the way people manage private information both personally and in conjunction with others (Child, Pearson, & Petronio, 2009). The first principle of the CPM theory states that people believe their private information belongs to them. The second one posits that people believe they also have the right to control the flow of that information. The third principle announces that people develop and use privacy rules to control the flow of private information based on criteria important to them. The fourth says that once an individual shares his or her private information, that information enters into collective ownership and a collective privacy boundary is formed. The discloser expects an acceptance of responsibility for the information within that collective ownership. The fifth principle explains that once the information becomes co-owned and collectively held, the parties negotiate privacy rules for third-party dissemination. Finally, the last one affirms that given that people do not consistently negotiate privacy rules for collective private information, there is a possibility of boundary turbulence, which occurs when co-owners fail to effectively control the flow of private information to third parties (Child, Pearson, & Petronio, 2009: 2080-1). These principles provide an effective theoretical framework for understanding the adoption of social media as teaching resources in the university context as well as the privacy management practices that students and faculty apply in relation to this adoption. Social networks such as Facebook have been initially adopted in the private sphere of individuals as a new way of communication with friends and are perceived as belonging to the individual’s private sphere, as opposed to the academic and professional sphere (Aymerich-Franch & Fedele, 2014). In adopting these networks for educational purposes, privacy boundaries need to be redefined to fit the relationship lecturer – student, as opposed to the relationship friend – friend. At the same time, though, this new adoption cannot overlap the previous structure as both uses sometimes will coexist under the same medium and account. If, for instance, a student decides to use her personal Facebook account to join a group that a lecturer has created for class, she will need to adjust the privacy settings so her lecturer and classmates only have partial access to the information she has in the social network. Despite the rules that individuals design to fit their privacy needs in this new context, breakdowns or boundary turbulences may still occur (Child, Haridakis, & Petronio, 2012). When this happens, the individual needs to address the disruption and recalibrate the satisfactory functioning of privacy rules (Child, Haridakis, & Petronio, 2012). This disturbance may occur for several reasons. In a hypothetical situation, if a professor accepted a Facebook invitation from a colleague and later found out that the colleague used the information she published on the social network to inform the head of department that she was taking days off without notifying it, the professor would probably experience privacy turbulence. As a result, she would probably readjust the access to private information she grants to her work mates through the social network. Conversely, a professor might also have a general policy of never accepting students to social networks and later find out that, in the case of doctoral students, the relationship becomes more fruitful when they share more professional and personal experiences. In that case, she might decide to readjust her privacy practices to allow students follow her on Twitter or LinkedIn. As seen in these examples, a tension between privacy and disclosure of personal information characterizes social media, not only in the adoption of these tools as teaching resources, but as an intrinsic characteristic. Frequently, disclosing information about the self becomes unavoidable in order to obtain the benefits from social media. In other words, “the more users disclose of themselves, the more they may enjoy the benefits these systems have to offer. At the same time, the more they disclose, the more they risk what they themselves consider breaches of their privacy” (Walther, 2011: 3).